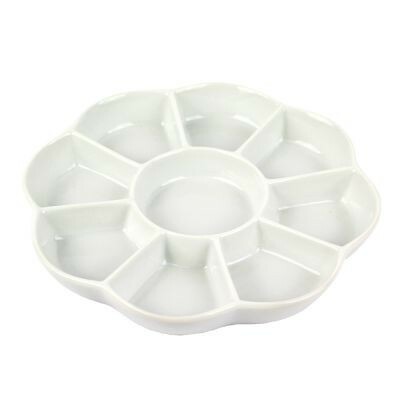 White porcelain palette in 3 sizes. 9 mixing areas. 7 1/4" diameter. 7 mixing areas. 6" diameter. 7 mixing areas. 4.7" diameter. Much better than the plastic one I have - No 'beading' of the paint on this ceramic/porcelain palette.